Di (2-chloroethyl) sulfide, and less often HN2, has been used as chemical weapons, with the skin being a principle target. The first reports on the use of topical HN2 to treat CTCL were given by Sipos et al 1965 (42). Later on Van Scott and Kalmanson (43) reported on complete remissions of mycosis fungoides with topical HN2, as well control of delayed hypersensitivity to HN2 by desensitization and by induction of specific immunologic tolerance. Besides the DNA-damaging effect, HN2 has a direct effect on the basement membrane zone. Pyknotic nuclei with or without dyskeratotic changes within epidermal keratinocytes can be seen (44), indicating that there is probably not only a direct cytostatic effect on the lymphocytes, but also epidermal changes possibly modulating the quality and the amount of cytokines released from keratinocytes. Patches and thin plaques in CTCL are the main indications for the use of topical HN2. One should be aware of the fact, that in the early premycotic stages of the dis ease, survival time is within normal range (45) and the results of early treatment have to be assessed against this good outlook. The therapy is generally initiated with a concentration of 10 mg of HN2 in 60 mL of water with 5 mL of propylene glycol and is increased only when no clinical response is observed. Following preparation of the solution, patients should be instructed to immediately paint the body surface excluding the genitalia and apply the drug sparingly to intertriginous sites (46). The patient should wear protective plastic gloves while applying HN2. Treatment is applied daily until clearing which usually takes 3-4 months with the solution and 6-12 months when an ointment form is used. Although treatment of the total skin surface is often recommended, the need to treat clearly uninvolved areas is controversial (45). Also, HN2 can be applied as an aqueous solution for generalized treatment or as an anhydrous ointment for localized treatment (47). 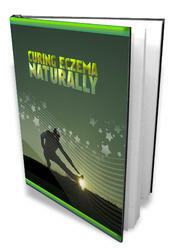 The ointment may be simpler to use because the patients do not need to dilute the mechlorethamine powder themselves. Additionally, the aqueous solution is drying. Many patients object to the greasiness and resulting staining of clothing that occurs with ointment preparations (46). Due to the vaporizing pressure of HN2, nitrogen mustard evaporates into the air during topical treatment of patients with mycosis fungoides (48). In order to estimate the risk for the nurse applying topical HN2, the concentration of HN2 in the air during treatment was measured during a 20 min treatment period. The mean concentration of HN2 in the air during treatment does not exceed the MAC (maximal allowable concentration) value of 0.05 mg/m3. Nevertheless, it is important to minimize the exposure of nursing staff to HN2 by appropriate shielding (49). Patients mixing and applying the medication at home are exposed to the same risks. Complete responses lasting from 4-14 years have been reported in 20% of patients with patch or plaque phase mycosis fungoides (stage IA or IB) treated with topical mechlorethamine (HN2). Relapses are seen in 17% of these patients, occurring within 8 years of discontinuing maintenance topical chemotherapy. 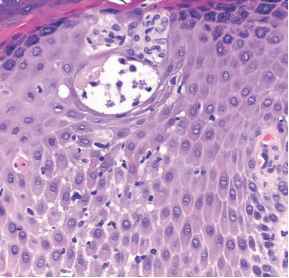 The main complications from topical HN2 chemotherapy include contact hypersensitivity reactions in about 40% of patients, xerosis, hyperpigmentation and an increased risk for the development of squamous cell carcinoma (50,51). When PUVA is used in combination with HN2 (52,53), it may reduce the rate of sensitization. Further, HN2 also has been used in combination with TSEB therapy (38). Topical HN2 is the first choice for many treatment centers in the United States but is rarely used in Europe except Scandinavian countries (49). It is a very effective form of treatment for patients with early patch/plaque stage disease.